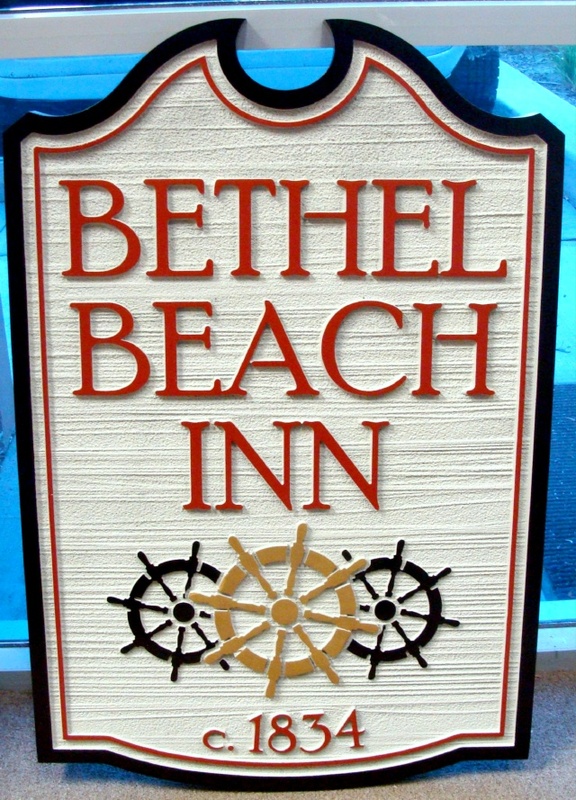 This sandblasted sign for the Bethel Beach Inn features three ship's wheels as artwork. The sign is made of High-Density-Urethane (HDU) carved in 2.5-D relief. The text, artwork , and double border are raised above the background. The background is sandblasted in a wood grain pattern. The color scheme, blue, gold, red and white is bright and cheerful. The sign is clear-coated twice for additional protection against UV radiation and moisture.